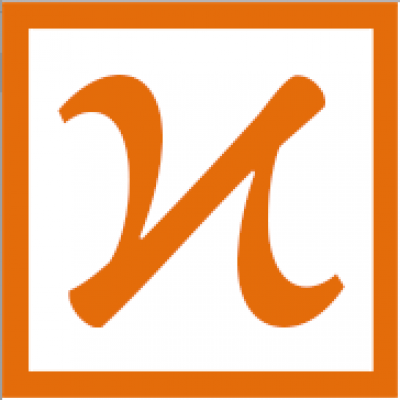 Pi, π, can be computed using Monte Carlo simulation. Although that may sound complicated, it’s simpler than it sounds: Generate random points within a square, and see how many of them are inside of the circle (with the same diameter as the square’s side). A mathematical proof of the computation goes like this: We know the ratio of the circle’s area to the square’s area is π*r*r/(2*r*2*r), since the area of a circle is π*r*r and a square is length_of_side*length_of_side, or (2*r*2*r). That equation, ratio_of_circle_to_square = π*r*r/(2*r*2*r), simplifies to ratio_of_circle_to_square = π/4. And so ratio_of_circle_to_square * 4 is equal to π. The following code performs that simulation. It draws 100 dots at a time, and counts how many of those dots are red. 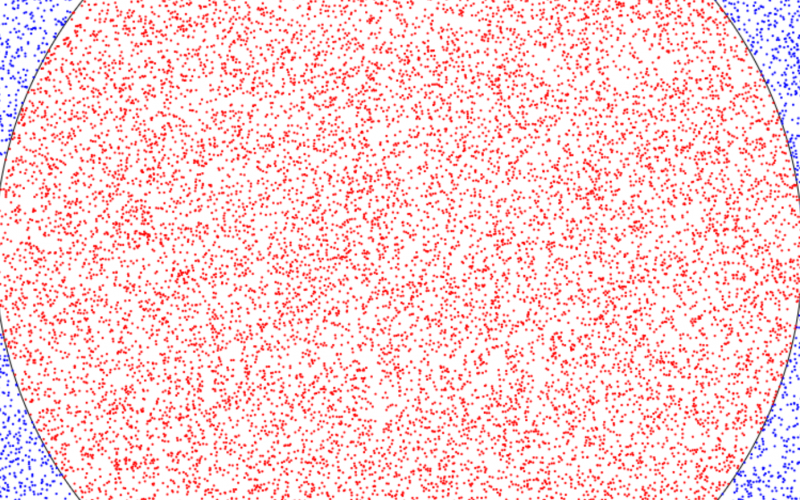 The number of red dots, divided by the total number of dots, times four, is pi!